"That's odd. 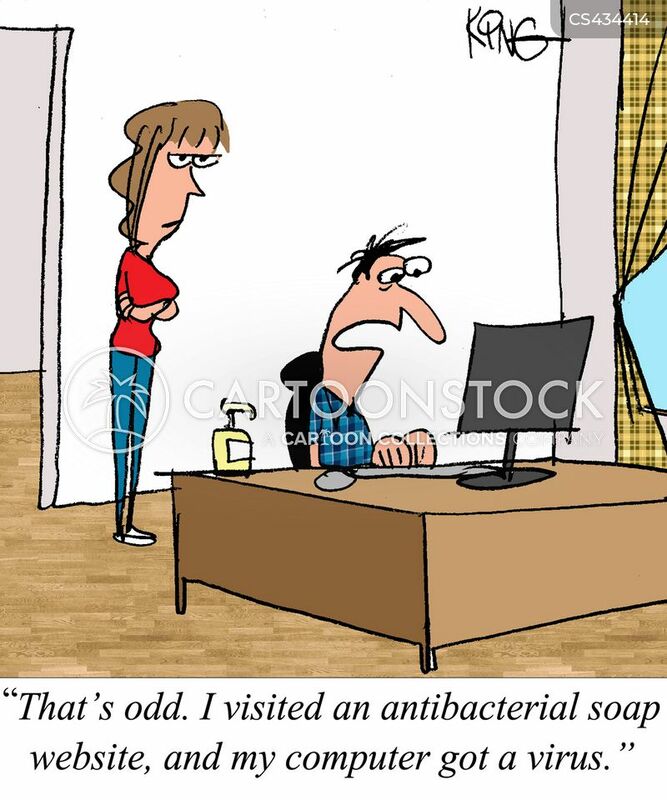 I visited an antibacterial soap website, and my computer got a virus." "Each time someone enters this house, they'll be doused in antibacterial soap. 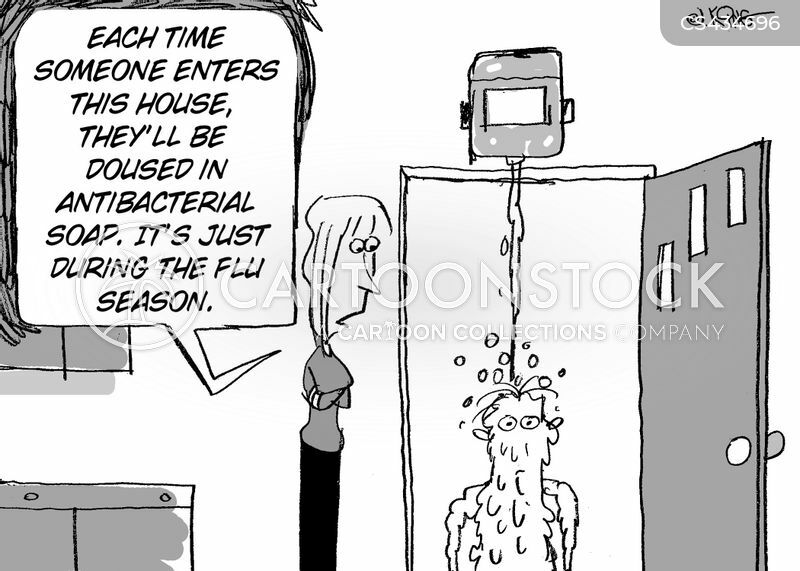 It's just during the flu season." "Yes, it's a sprinkler system, but it's not water. It's antibacterial soap. 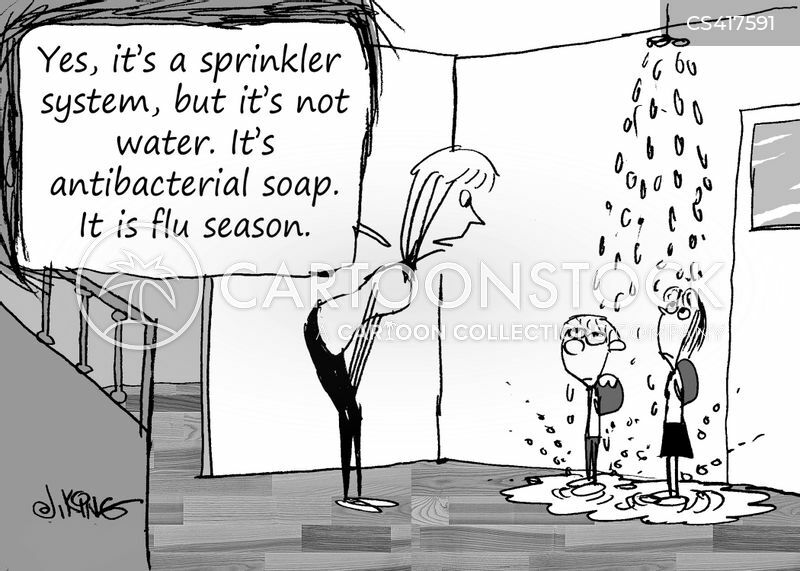 It is flu season." 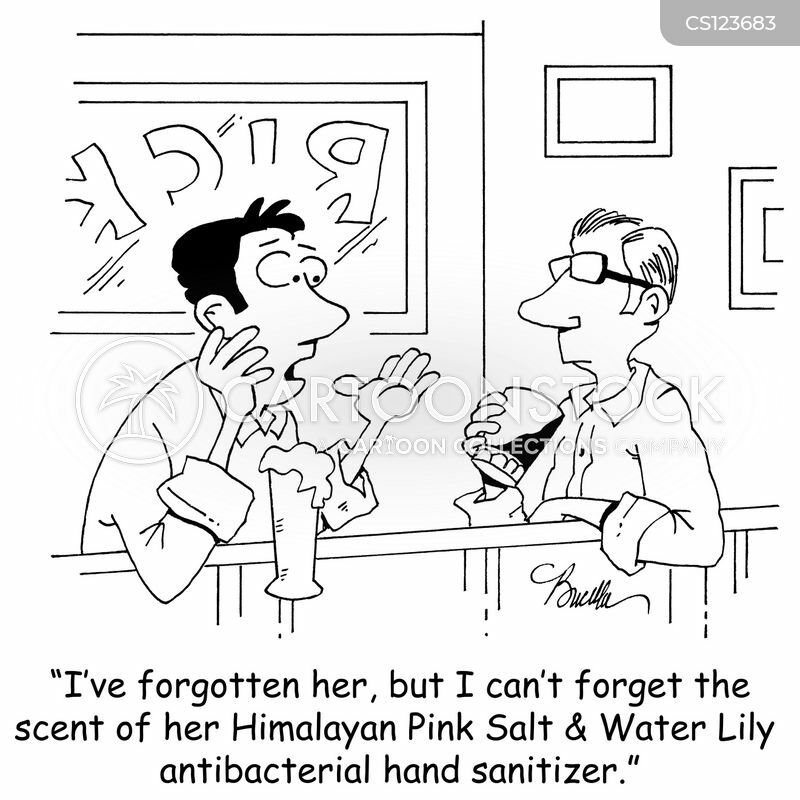 "I've forgotten her, but I can't forget the scent of her Himalayan Pink Salt & Water Lily antibacterial hand sanitizer."